Life aboard the Disney Wonder continues to not be at all bad, but unfortunately it is coming to an end. In my ongoing comparison and contrast between her and the U. S. Navy’s Wasp class of amphibious assault ships we will look a little deeper at the ships themselves and the things that you can do whilst on board as well as the disheartening return to reality as our ship pulls back into Los Angeles. The aesthetics of each ship are predictably very different. The Wonder, being a kid-oriented and Walt Disney themed vessel is all about the experience of the passengers. The Navy’s amphibs, on the other hand, are purpose built to take Marines into harm’s way on hostile shores. Needless to say, the feel of being aboard each ship is like chalk and cheese- worlds apart. The Wonder’s art deco styling hearkens back to Disney’s beginnings, when Mickey Mouse and friends were bursting on the world scene and the Disney brothers found themselves at the head of an exploding entertainment empire. The interior of the ship gleams with sweeping arcs and intricate patterns of brushed aluminum and steel which are accented by honey hued lacquered wood paneling that warmly lines the main parts of the ship. The deeper hues of mahogany accent the railings, fixtures, counters, and bars. Colorful carpet meets gleaming tile across the decks, and the furniture is reminiscent of a 1930s film noir. The exterior of the ship (including the promenade, pool decks, and other areas where the interior meets the salt air) is painted a gleaming white in the manner of Teddy Roosevelt’s Great White Fleet, with a nicely patriotic red and blue accent meeting at the waterline on the hull. There is an incredible level of attention to detail that mirrors the theme parks of Disneyland and Disneyworld. Every part of the ship is always spotless thanks to a tireless crew that is perpetually sweeping and swabbing. Also like the theme parks there are things to do everywhere. The Wonder sports two theaters aboard- one for movies and the other for live shows. We saw a couple of both, and the entertainment venues are tremendous! My sons were ecstatic to be able to watch the movie Real Steel and my wife really liked The Help, both first run movies that are currently in theaters ashore. The live shows, like Toy Story, the Musical, were as high quality as any we have seen in a landbound theater. Of course, it wouldn’t be a Disney experience without the famous characters walking about! We are constantly running into Pluto, Goofy, and the rest of the cast of characters. Everyone dresses to the nines for the formal dinners, and I must say that Mickey is a lucky mouse indeed because Minnie looks positively ravishing in her white gown and tiara! Goofy looks pretty dapper in a tux, too. Deck 9 is where the party rolls on, and on, and on. There are three pools (one for adults, one for everyone, and a shallow one with a waterslide just for kids), Jacuzzis everywhere and places to get everything from pizza to hamburgers to coffee to cocktails. No matter what activities we did on the ship or ashore we always ended up on deck 9, and were happy to be there. Disney is really magical through the eyes of children, and watching little ones light up when Chip and Dale wander by in their Hawaiian shirts makes your heart melt. There are clubs for kids of all ages, too. Infants, toddlers, grade schoolers, tweens, and teens all have dedicated places to go and hang out with their fellow cruisers. It is great for them because they are never bored- when they get tired of their parents or their siblings they can go off and have a great time. After a few days we found our kids ditching us earlier and earlier to go to the Oceaneer’s Lab (for our eight year old) and the Edge (for our eleven year old tween). That made it nice for us parents- the kids were off in a safe and fun environment and we could actually have some time to ourselves for a change! In the Navy, however, things are a little different. The ship is a monochromatic palette of black, grey and white occasionally interrupted by the yellow that marks steps on ladderwells so that you don’t trip on them. Blue decks mark Officer’s Country (which is where officers both live and work), but all in all the ship has a very utilitarian and industrial feel and look. It is a warship, after all, and being a warship it is just as attentively cared for as the Disney Wonder. It is clean- not in a sparkly Magic Kingdom kind of way but in a shipshape Navy kind of way. Sailors (and a few Marines who are assigned to shipboard duties) are endlessly sweeping, painting, and wiping down the ship, and the pride they have in their vessel is evident by the way they painstakingly ensure that everything is orderly and tidy- very important because you never know when something may happen and they may have to drop their brooms and swabs and take up their battle stations. There are things to do aboard ship as well. Lots of things. 99% of those things involve making sure that the ship is shipshape (for the crew) and we Marines are making sure that our combat equipment is ready for any contingency. Seawater is remarkably corrosive, so each and every day Marines are conducting maintenance on their gear- endlessly wiping protective grease and oil off of trucks and guns and tanks, inspecting for rust, and reapplying another waterproof layer….only to be repeated again and again in the days ahead. Leaders attend meetings and briefings to stay current on world events, planning to respond to the situations within steaming range ship and her sisters. Warships seldom sail alone, and our Big Deck the command and control ship for a little fleet (called an Amphibious Ready Group, or ARG in acronymical fashion) of amphibs that consists of the Big Deck and two Small Decks, all loaded with several thousand Marines and enough combat gear to assault a beach, help evacuate those in need, or respond to natural disasters like tsunamis and hurricanes. In addition to taking care of equipment Marines work out. They hit the gym (which is an impressive collection of free weights, cardio machines, and the like) and they can run around the flight deck when it is not being used as an airport. They can go to the library to read or check out books, watch TV in their berthing spaces (if they brought a small TV with them, of course! ), or sleep when they don’t have to be on duty. They can even go swimming onboard ship- on special occasions. There is no leisure pool aboard, but in cases where the well deck (the part of the ship where the amphibious vehicles and landing boats are kept) is free of vehicles the ship can actually fill it with water- creating an enormous swimming pool. The ship is designed to flood the well deck so that boats can float in and out during landing operations, and when no boats are aboard it becomes the largest shipboard swimming pool on earth. No diving board, though…and it isn’t heated. And it doesn’t happen often. But, when it does, it is a unique experience! So, back to our competition. Our current score rests at seven to four in favor of Disney. We will assign two points in this round; one for the ambiance of the ship and the second for things to do aboard. The first point has to go to Disney for the sheer elegance of the Wonder- if ever there could be a replication of the Magic Kingdom at sea then the Disney cruising fleet has made it possible. The second point for things to do aboard ship is a close call, but it has to go to the Navy and Marine team. After all, you can swim on both ships but only with the Navy and Marines can you do really manly things like perform maintenance on tanks after breakfast and assault a beach after lunch. Point, Department of the Navy. That brings us to the end of our deployment with Disney and the Navy. My first post explained the differences between the boarding experience, so now let’s take a look at disembarkation. Leaving the Wonder was a pretty simple process, really. We watched a video that described the things we had to do to depart the ship – things like “don’t leave anything behind!” and “review your bill before departing…”. We tagged our luggage with the colorful tags that our cabin steward thoughtfully provided and packed very carefully (and it was a pleasant surprise to learn that our luggage would be taken ashore for us if we left outside our stateroom the evening before reaching port), but receiving a bill for all of the cocktails and souvenirs and sundry items that we purchased was a jarring experience. You definitely pay for the fun you have on a cruise! The colored tags were part of the debarking process. We were “Purple Minnies” (because we had purple tags with a fetching picture of Minnie Mouse), meaning our bagtags were purple which suited my oldest son because that is his favorite color. We were called to disembark based on our tag color, so after our last breakfast aboard ship we queued up and waited for the call. Soon enough we heard the call for “Purple Minnies!” and we walked back out the ornate door that we passed through as we boarded just a short week before. We followed the crowd to U. S. Customs, where a bored customs agent scrutinized our passports and perfunctorily waved us back to U. S. soil. We wandered over to baggage claim, got our bags, and drove home. Very anticlimactic. Contrast the deflation of departing the Wonder with the sheer exuberance of returning from a military deployment. First of all, there are a lot of ways to get off the ship- you can ride in a helicopter, splash across the beach in a landing craft, or swim ashore aboard an amphibious assault vehicle. Or walk down the gangplank when the ship docks pierside, of course. The best part is that there is a tremendously heartfelt reunion waiting for you- complete with banners, flags, and your family jumping up and down because they haven’t seen you in six months or more. Talk about an emotional event! Many Marines and Sailors will first meet children they have never seen because they were born while they were underway, and young lovers will embrace with the passion only possible in the wonderful world of true love. It is one of the most heartwarming and and emotional things you will ever witness, and to be a participant is unforgettable. This one goes to the U. S. Navy and Marine Corps! So, even though the U. S. Navy (with their Marines embarked) are the absolutely baddest thing ever to sail the seven seas they can’t best the Disney cruise ship Wonder in the underway experience department. You can join the Navy and see the world, but you can’t do it with Mickey and Minnie mouse (or with your kids!) unless you book a pleasure cruise with the Disney Armada. With this my terminal leave adventure comes to a close, and it is time to get back to work. I left you, my constant reader, sitting at the edge of your seat in anticipation of joining me in the checking out process. My next post will introduce you to that most excellent document, the checkout sheet, and bring you along the rocks and shoals of my final departure from active service. Keep reading! Well, my terminal leave continues and it is time to revisit my unbiased comparison of the Disney and U. S. Navy Gator fleets. Today marks day six of my Disney Deployment, er, family friendly pleasure cruise and thus far I have had a great time. More importantly, my family has had the time of their lives- especially the kids. Possibly the only greater vacation would be to spend a week in Willy Wonka’s Chocolate Factory where my youngest son could join the Oompa Loompas and go swimming in the chocolate river. My oldest son is living la vida loca as by being the coolest eleven year old in the Edge tween club- I just peeked in and saw him eating ice cream while sandwiched between two young hotties who found his purple sunglasses and black fedora irresistible. But yet again I digress. Today we will compare the Disney Wonder to the USS Essex, which is the amphib on which I spent the most time while underway. The Essex is currently homeported in Sasebo, Japan, and serves as the command and control ship for the 31st Marine Expeditionary Unit (MEU). The Essex has spent about a decade in the far east, before which she sailed with MEUs from San Diego, and she is due to be replaced by the Bonhomme Richard (aboard which I have also had the privilege to sail) in the next year or two, after which she will return to the west coast of the United States for duty. The Disney Wonder, on the other hand, is temporarily homeported in Los Angeles. She originally hailed from Florida, and like the Essex is temporarily assigned away from her home station. Wonder is here on the west coast for two years or so and after that she will probably find another home from which to take families on holiday. Both ships, then, share the distinction of serving ports far from their original stations. That, however, is one of the few things that they share. Today we are going to compare the ships on the things that really matter to those who sail aboard them: safety, dining, and working out. These three areas represent some of the most important things to visitors aboard any ship; the crew is charged with making sure you get to where you are headed and keeping the ship afloat while the embarked passengers and Marines are more concerned with where you can eat and what you can do between meals. In that vein we will take a look at both ships, starting with the Essex. Now, before my friends aboard the Essex go completely berserk, I must point out that I sailed aboard her as the commanding officer of an artillery battery about a decade ago and returned as an expeditionary fire support evaluator eight years later. I have not stepped food on her most excellent steel decks since 2009, so my point of comparison is dated by a couple of years. That said, my experience aboard her sister ships is similar, so I am using the Essex as an amalgam (or composite) of my experiences sailing aboard big deck amphibs. Kapishe? No hard feelings? I hope not…. Let’s start with safety. It is mandatory on any Navy ship that visitors (including Marines, despite their Naval heritage and significant amount of experience at sea) must undergo a mandatory harassment package in order to be allowed to sail on the big grey boat. It consists of three painful evolutions: first, the “passengers” must be introduced to the “Man Overboard” drill, second, we must be schooled in the ways of abandoning ship, and finally, we are forced to endure evacuation drills. The Man Overboard drill is a particularly painful one for anyone in charge. To be fair, however, it is an incredibly important exercise because it truly is the difference between life and death for any hapless soul who happens to find himself swimming in the wake of the ship as it steams on without him. The drill is simple in concept and excruciating in execution. It is simple because all you need to do is account for every member of your unit and report their status to the ship’s Commanding Officer. It is excruciating because you never know when you will have to do so- may be 0300, maybe at noon chow, maybe when you are in the shower or in the gym. It doesn’t matter. The CO, at whatever whim strikes him, is authorized (and duty bound) to sound the man overboard drill and demand accountability of each and every Sailor and Marine aboard his ship. Imagine if you will the consternation that follows when the klaxon sounds and you, the Commanding Officer of your unit, has ten minutes to report the whereabouts of each and every individual in your charge. They may be in the head, they may be in the on the vehicle storage deck chipping rust off of your equipment, or they may be off the ship doing God-knows-what. Once the whistle blows you have ten minutes to figure it out. Without going into the painful details of how it is done, my battery was successful in reporting the status of all members when we conducted these drills. That is a good thing, because the COs of units that couldn’t were “invited” to explain to the Captain why they failed. He made it especially challenging, too. As the omnipotent and omniscient commander of all that he oversaw, he would dispatch one of his henchmen (known as the “MAA”, or Master At Arms) to find an unsuspecting soul who was invited to enjoy the largesse of the captain as he conducted the drill. This Marine or Sailor was brought to the Captain’s Mess (the CO’s private dining room) where he or she happily sat with his or her feet up on the Captain’s ottoman and ate ice cream while the rest of the ship freaked out when the bell rang. The key to success was knowing where all of your people were, and more importantly reporting when you couldn’t find them all. In my case, none of my Marines were snagged by the MAA, so I could report that all hands were accounted for. Some of my fellows were not as fortunate- in once case a CO whose Sailor was basking in the temporary glory of the Captain’s ice cream reported him present. I think he is handing out basketballs in the Aleutian Islands now, but I could be wrong. The second drill is the abandon ship drill. This is particularly important because we were aboard an American Man of War and sometimes wars break out. The drill wasn’t too painful, really. When the call went out (over the ship’s 1 MC, which is a sound system that goes only one way- from the bridge of the ship to a speaker in every space aboard the vessel) to abandon ship all of us headed for the flight deck across from the island. The flight deck is the big flat space where aircraft take off and land from and the island is the big steel structure that sticks out of the starboard side of the flight deck. Only a true idiot could miss it….so most of us didn’t. We practiced running to our abandon ship location and lining up to board the life rafts that would keep us out of the water until we could be rescued by somebody- preferably American, because the thought of being captured by an enemy navy is not particularly pleasant. Anyhow, this drill was pretty easy, because all we did was run up to the flight deck and stand around until the people in charge got their fill of watching Marines pass out from heat exhaustion. The evacuation drill is one that is self inflicted- that is it is one that is imposed on Marines by Marines. The ship’s company was only required to train us how to find each other in the case of missing personnel and how to get off the ship should it end up sinking. We were on our own for the evacuatioh drill. Warships run the real danger of being attacked by the enemies of our nation, and when that happens the only thing that matters to the Navy is saving their ship. For Marines, who have nothing to do with damage control and firefighting, the main effort is to get above decks where we can shoot back. In order to do so, we need to be ready to get out of wherever we are below decks and find our way topside. That means that we must be ready to find our way through pitch dark passageways that are filled with noxious smoke, feeling our way from the bowels of the ship to the relative safety of the decks above. Blindfolded, we practiced grabbing our EBA (Emergency Breathing Apparatus- a hood that contains an oxygen generator capable of providing enough breathable air to escape the most inaccessible space of the ship) and feeling our way up to the flight deck. We memorized every turn in the corridor, every hatch that could stand in our way, and every ladderwell that led to safety. We were blindfolded because the ship’s lighting was unreliable in an emergency, and we felt our way because the smoke created by the burning ship would obscure any light anyway. We practiced this until we were certain that we could escape the dangers below deck, which was important because what we really needed to be ready to do was to man our guns and shoot the hell out of whoever put us in this predicament to begin with. Contrast these drills with the one conducted aboard the Wonder. On the afternoon of our first day aboard we were directed to watch a video on our in-room televisions (!) that depicted our expected actions when the emergency siren was sounded. Pretty simple, really. A series of seven short blasts on the ships horn would be followed by a continual wailing tone, and when we heard that my family and I were directed to go to our stateroom, and once we were all there to go up to the 4th deck and find a seat in the movie theater. Once there, roll would be taken and we would be directed to our lifeboat should Disney’s finest suddenly decide to impersonate a submarine. It was very genteel and very polite, and my kids loved it. That said, I felt safer aboard the Essex– after all, I could find my way off of the burning ship in the complete dark with people shooting at me. In this case, I must give the point to the U. S. Navy and the USS Essex- although the lifeboats may be nicer on the Wonder the surety of reaching one and surviving a catastrophe was mercilessly drilled into us by the captain of the ship. Point- U.S. Navy. Now that we have the survival drills under our belt, it is time to find something to eat. Dining aboard any vessel is an adventure, and in some cases more of an adventure than others. The Navy has a long tradition associated with eating aboard ship. There is a time honored saying for life underway- “eat until you’re tired, and then sleep ’til you’re hungry”. That applies to cruise ships, too! But keeping with our Naval impetus let’s look at eating from the military perspective. Each class of sailor- be he a deck hand, a chief petty officer, an ensign, or the Captain- has his or her own mess in which to break bread. Suffice it to say the higher in rank you are the nicer the dinner table. The enlisted sailors and Marines eat in the main Mess Deck- a huge cafeteria of sorts that makes most college dining facilities pale by comparison. You go through the line and get what you get- a choice of vegetables or meats perhaps, but the deal is you get what you eat and you eat what you get. It will keep you moving until the next meal, but it is generally not something you look forward to. Moving up the chain, the Chief Petty Officers run a pretty impressive mess. Chiefs, as they are ubiquitously known, run the Navy. Since they are in charge, their mess makes all others (including, arguably, the Admiral’s) pale in comparison. As an example, I have sailed on a half dozen or more Navy ships and have never had the good fortune to dine with the Chiefs. My status as a junior Marine was below their recognition, and as an officer I was far too reviled to be welcomed into their exalted dining room. It is a long tradition, but one that yields a lot more Steak and Lobster than we got up in Officer’s Country. Speaking of the Officer’s digs, we ate in a smaller cafeteria (officially called a Wardroom) but with arguably better food. Although it was probably the same as they served on the enlisted mess deck, we told ourselves it was better- because we had to pay for it. I won’t bore you with the byzantine rules of accounting that pertain to military dining, but suffice it to say enlisted Marines and Sailors eat for free. Officers pay at the door. For the same food. Go figure. The Captain’s (and, by proxy, the Admiral’s) mess is a five star private dining adventure. While the officer’s mess has stewards to clean up and generally avoid working too hard, the Captain has a dedicated staff of Sailors and Marines who set the table, take your order, and deliver you dinner in a manner reminiscent of the Che Paul. The life of the captain at sea is a good one indeed! Aboard the Wonder it is much more egalatiarian. Everyone eats well! There are no less than three fine sid-down eateries (four if you include the four star adults-only restaurant) and several fast food bistros on the entertainment deck (think three pools separated by cocktail bars, pizza establishments, and grills). Want a hot dog? Have three! Pizza? They’ll make you one from scratch! Beer with that bratwurst? Have one! It is not even in the same league, and not even the same sport- the food on a pleasure cruise is so completely different from that served aboard a big grey Navy ship that the point goes to Disney without a second thought- particularly since I am typing this after eating a most excellent pepperoni, mushroom, and tomato pizza washed down by three Gin and Tonics. Tough to find that on a Navy ship! Point- Disney. Now that we have eaten our body weight in pizza and French fries it is probably a good idea to do a little exercise. The Essex, like all big decks, has a pretty impressive gym that all hands can use to burn off those wardroom calories. Navy ships have embraced the common military obsession with fitness- and it shows. Located in the forward area of the ship just above the foc’s’le (where the machinery to raise and lower the anchor sits) and below the flight deck (where Harriers scream off the ship to bomb the enemy), the gym is an aggregation of steel plates, Nautilus machines, and aerobic training equipment. Most importantly, it has several pull up bars welded to the overhead beams, which are of utmost importance to all Marines, because our annual physical fitness test includes running three miles, performing crunches within a time limit, and hauling your carcass over a pullup bar. Twenty times for the maximum score, which I have personally been able to meet for ten years now. I may not jack any steel or bend any Nautilus machines, but I religiously pay homage to the pullup bar and find enough square footage on the deck to work on my abs. The Essex had everything I needed, and more importantly, enough raw testosterone laden gym equipment to make even the most ardent muscle-beach adherent proud. Add to that the ¼ mile long steel track that circled the flight deck and we could stay in shape with little problem while underway with the Navy. The Wonder, on the other hand, is a little less manly in regards to physical fitness. They do have an impressive cardio gym that overlooks the bow of the ship- replete with treamills, climbing machines, and recumbent bikes- but lacking in the most important tool of all; a pull up bar. The ship does have a very impressive track, however. The 4th deck is the Promenade- a teak decked oval that circles the entire ship. During my cruise I logged no less than 90 laps (yielding over 25 miles at 1/3 mile per lap) as I ran every morning before the family got up. Unfortunately, the lack of a pullup bar required me to use a sharp ladder cage to do my daily 100 pullup/chinup routine, which resulted in blisters and torn callouses on my palms in the pursuit of upper body fitness. The Wonder has a great new-age air about it with the treadmill and recumbent bikes that look out on the beautiful ocean view, but in my quest for visceral and manly fitness I must bow to the U. S. Navy and her commitment to grinding it out – the lack of a pullup bar completely overrides the pleasantries of working out on the Wonder. Fitness point goes to the U. S. Navy and the USS Essex. Disney has taken an early lead, and today we will see if they can keep it. This post picks up by taking a look at the ships themselves and see which one scores best- starting with the living accomodations. For comparison I will be using the class of amphib on which I have spent the most time: the Wasp class of amphibious assault ships. Named for the first of her kind to sail, the Wasp and her ilk are also named in acronymical fashion the LHD class, or Landing Helicopter Dock: Landing because it lands Marines ashore in amphibious operations, Helicopter because it has an enormous flight deck that serves as a heliport, and Dock because the Navy needed a third letter to fill out the acronym. There are currently eight big deck LHDs in the Navy, and I have either sailed or worked aboard half of them, including the Wasp, Essex, Boxer, and Bonhomme Richard. I have also sailed aboard numerous small deck amphibs of the Landing Ship Dock (LSD) and Landing Platform Dock (LPD) classes, but since most of my time was aboard the Big Decks and because they are the most similar to the Disney Wonder in size I will use the LHDs as the benchmark for comparison. My last post ended with us stepping aboard. The dissimilarity between the two types of ships – Navy amphibs and Disney cruisers – became more and more evident with each step that we took. After being greeted by the enthusiastic Disney staff we were directed to our stateroom by a very nice and polite steward who looked at our boarding cards and kindly pointed us to the lifts (elevators) that would take us to the deck containing our stateroom. As we strolled along the comfortably soft carpeted decks things were looking up- instead of being inconvenienced by such banal things as stairs we could travel between decks in style by hopping on a lift, just like a hotel ashore! We quickly hopped aboard the closest lift and within seconds were on the deck (the “deck” being equivalent to the “floor” of a hotel) which contained our room. By happenstance our lodgings for the week were about twenty feet away from the lift, so the convenience factor for the trip was at a family-pleasing high. The Navy, however, is not so convenient. Big deck amphibs have elevators, too, but they are reserved for moving aircraft between the hangar deck (where maintenance on the various aircraft is conducted) to the flight deck (where the the helicopters and attack jets take off and land). For Marines and Sailors there are no such conveniences- instead you get to lug your gear up and down the maze of hard steel-decked passageways and ladderwells that stand between the brow of the ship and your stateroom or berthing area. There are no kindly stewards to help you along the way, either. My experience as a Marine aboard a Navy vessel is one of arrogant indifference- the sailors generally look upon Marines as a necessary evil that must be endured while they ply their trade of sailing the seven seas. Despite the useleness of amphibious vessels without Marines aboard to storm hostile shores, our Navy brethren in the gator fleet continue to view us with disdain, much like an older brother looks at his annoying but inescapable younger sibling that never seems to be able to leave him alone. Anyhow, the trip from the brow to your living space is a convoluted and confusing one to say the least. Where cruise ships have ample space to move about in the passageways, Navy ships are unbelievably constricted, and Sailors revel in the opportunity to prove their inherent superiority by giving you the wrong directions to your destination that usually find you crawling through the bilges to the sailor’s explosive squeals of girlish glee. Unlike the broad and open hallways of the Wonder the tight passages of the LHDs often make it difficult for two people to pass each other- especially when one of them is loaded up like a mule loaded for an expedition to the high sierras. After grunting and groaning and struggling for what seems to be an eternity as you drag your stuff through tight hatches and narrow watertight doors you find your living space aboard the ship. Needless to say, the point for finding your room goes to Disney. Back to the Wonder. My cheerful family (really- still cheerful!) burst into our room and instantly felt at home. It had all of the amenities of a nice hotel room, along with some you don’t get when you vacation in the Midwest. We had a bed, a desk, and a couch- pretty standard. The couch, however, magically transmogrified into a kidilicious bunk bed that enthralled our boys every night they got to sleep in it. There was a closet with room for our clothes, the obligatory set of life jackets, a safe, a television, and an inroom shower and bathroom suite. The total space was a third the size of a one car garage, but it was intelligently laid out and had more than enough space for us to spend our time at sea. A big circular window (reminiscent of a gigantic porthole) looked out onto the beconing waters of the Pacific Ocean and the refrigerator begged to chill our bottles of wine. So far so good! On the LHD, however, things are a bit different. The best part of finally reaching your living space is that it is all yours- the sailors live in a different part of the ship entirely and the Marine spaces are all dedicated to Marines. The worst part, however, is that you get to spend the next six or so months with anywhere from three to fifteen of your closest friends…but that is the price of a free cruise, I suppose. The Navy is one place where the differences between ranks are probably the most pronounced of all the services, and that affectation for privilege is personified by the amount of space afforded to the officers and men who serve aboard naval vessels. During my last deployment aboard a big deck I lived in a stateroom built for four officers that was about half the size of our room on the Wonder – and there was no porthole to look out of and the head was down the hall. Using the stateroom on the cruise ship as a comparison, there would be two senior officers, six to eight junior officers, and anywhere from twelve to sixteen junior enlisted Marines living in the same square footage. When I sailed aboard the USS Austin (LPD-4, long since auctioned off to some South American Navy) I bunked with no less than twenty-six other Marines in a space only a third again larger than my room on the Wonder. Needless to say, Navy ships are built for combat and not for comfort, and it shows…..the point for living spaces goes clearly to the Wonder. My Navy and Marine friends are by now pounding on their keyboards and cursing my very name for taking such a biased view of naval versus cruise sailing. Before they start putting land mines under my welcome mat, however, I must give some credit where it is certainly due. The Wonder is a cruise ship, and as such is designed for the comfort of its passengers. Amphibs are designed to take thousands of fanatical Marines to distant shores where they will churn the surf with blood as they assault enemy held beaches. In that regard, Marines are allowed to bring a lot of cool stuff onto the ship. As you read earlier in this post, a typical Marine deployment brings with it things like howitzers (big cannons that shoot steel projectiles 30,000 meters into enemy territory), tanks (M1A1 Abrams Main Battle Tanks- among the best in the world), helicopters (Cobra and Hueys with guns, missiles, and rockets as well as Sea Knights and Super Stallions to carry personnel and equipment), and Harrier attack jets. The 1,800 Marines on board each get to bring their own issued weapons, so there are rifles, pistols, machine guns, rocket launchers, and mortars by the truckload secured in armories around the ship. For the sheer testosterone-laden coolness factor the U. S. Navy gets bonus points for embarking the most macho cargo of any ship on the water. They get two points- one for having the tanks, howitzers, and other studly tools of land warfare stowed below decks and another for bringing their own air force with them everywhere they go. Go Navy/Marine Corps! I know I promised another post or two on the joys of checking out, but before I introduce you to the most precious of all military documents (the checkout sheet) I must first drag you along on my first vacation since going on terminal leave. Terminal leave (“terminal” in milspeak) you may recall from previous postings is when you use up your remaining vacation time (leave) before your end of active service (EAS). It is, in effect, getting paid to do nothing. Or for going on vacation. I have done a little bit of nothing on terminal, which is nice, and am now headed off for a family vacation. Of terminal leave so far I am a fan! My current phase of doing nothing includes taking the family on a Disney cruise. We live in San Diego and the Disney corporation was kind enough to park one of their most excellent cruise ships – the Disney Wonder – in Los Angeles for a couple of years. For the record and in the interest of full disclosure, I absolutely love pretty much everything Disney. I love the parks, the movies, and how they have managed to create a magical world that every kid (and some adults like me) loves, even though as they approach their teenage years they will deny it. If I could work at Disney it would be a dream come true! Hmm…maybe a career change that involves working for a mouse….but I digress. I have spent no small amount of time aboard United States Navy vessels. Big ones, like the nuclear aircraft carrier Dwight D. Eisenhower, little amphibious landing craft, and pretty much everything in between. The bulk of my time at sea and in port has been aboard the various ships of the Navy’s Amphibious Fleet, which is affectionately known as the “Gator Navy”. There are several different classifications of ships in the gator navy, but they can all be broken down into two basic categories- Big Decks and Small Decks. Big Decks are the size and shape of World War II aircraft carriers- huge flat flight decks that hold dozens of helicopters and attack jets as well as a huge well deck below that holds amphibious vehicles and small boats. And well over a thousand Marines in addition to the Navy crew. Small Decks are just that- smaller ships with smaller flight decks capable of holding a few helicopters. They also have well decks and storage spaces for amphibious tractors and boats, and berthing for hundreds of Marines. This is the first time, however, that I will be getting underway on a no-kidding cruise ship. I have been on plenty of day excursions in Hawaii and Alaska, but never have I or my family boarded a ginormous seagoing hotel. So for the next few posts I am going to write about the differences between deploying with the United States Navy’s gator fleet and shipping out on a ship from Mickey’s armada. In addition to comparing and contrasting the differences, I am going to keep score and by the time we’re done you will be able to make an informed decision as to what you would like to do with a week of your life- join the Navy or cruise with Disney. Pick the winner and place your bets now! Today’s communiqué is all about the first part of any shipboard trip- getting on board. I have to start with a few blinding flashes of the obvious (BFOs- a classic TLA or Three Letter Acronym), the first of which is that the biggest difference between the two is that you get to take your family with you on a cruise and you get to take everyone you work with on a deployment. Each has its pros and cons depending on your situation- if you are single, then a cruise with Mickey and crew probably isn’t your bag. If your family drives you nuts, then a deployment may not be such a bad gig. At any rate it all comes out in the wash.
Back to today’s theme, which is a side by side comparison of the boarding process. Boarding a ship is a little different from any other form of transportation. When you board a plane, for example, you go to the airport, check your bags, and run the gauntlet of security to make it to your plane. Once you get to your gate, a few hapless gate agents line you up and herd you onto the plane. Once aboard, you hope for space to shove your bag and wedge yourself into your seat. Only then does your trip really start. Boarding a ship, however, is a horse of a completely different color. The actual process of getting onto a seagoing vessel is the same whether you are boarding a cruise ship or an aircraft carrier. The difference is in the details. Let’s take a look at just what those differing details are….. The first part is getting to the pier. Ships, unlike airplanes, require huge bodies of water to sail in. As such, you need to get to where the ship is so that you can climb aboard and begin your cruise. In the military, the trip to the ship usually begins hours and hours before you actually embark. In typical martial fashion, everyone must meet at their place of work, draw their equipment from the armory and have their equipment inspected, piled up, unpiled, reinspected, and then loaded onto a big truck for the trip to the pier. Only after several pointless and unpleasant hours of milling about do you get to board the bus for the ride down to meet the ship. After answering “here!” to countless rollcalls, your bus rolls down the road at a blistering speed of 55 miles an hour and you are on your way. For a pleasure cruise it is a little different. We got up, packed our bags, got into our car, and drove to the pier. Coffee and snacks in hand, there were smiling faces all around as we sped towards our vacation, well mostly smiles, except when the kids were fighting…which works out to be about 50% of the time. At any rate, we drove straight to the pier and parked our car. It took less than three hours, over half of which was on the highway. Time difference between the two: about 12 hours. The first point goes to Disney. Okay, so the first part of the journey is over. As some famous Chinese philosopher once said, even a journey of 10,000 miles begins with a single step. Our first step brought us to the pier, and now we need to look at the steps that will take us aboard the ship. The Marine bus arrives at the pier, and Marines step off the bus. The pier is almost industrial in it character- lots of machinery about, and all of it looks uniformly drab. “Battleship Grey” is the color of the ships, and even the equipment is either painted the same drab color or is so grimy that it blends into the monotonously dull background. Ropes and equipment are scattered about, and as you try not to break your ankle by tripping over it there is a Marine, usually a Gunnery Sergeant, howling for you to line up and get counted. This goes on for about an hour, after which the Gunny happily reports that all of the Marines are present. I have always found the whole process odd, though, because unless someone mysteriously vaporized while the bus was on the road the same number of people should get off of it as got on. That concept, however, flies in the face of hundreds of years of tradition, so the repetitive counting continues. At the cruise terminal things are a little different. I parked the car in the lot (after being directed there by a very cheerful and helpful lady at the security gate) and within seconds there was a passenger shuttle pulling up behind us. I had barely started unloading bags from the car when the driver was taking them from me and loading them aboard. Within a minute or two, we were riding to the terminal, bags in hand and smiles back on our faces. Time difference: 58 minutes, and I didn’t even have to take rollcall. Point to Disney. At the Disney pier our cheerful driver pulled up to the curb and helped offload our luggage. Another cheerful soul, a porter this time, took our luggage and loaded it on a cart. At the cost of a five dollar tip our family’s gear was wheeled off to the ship, where the staff would deliver it to our room that afternoon. We shouldered our carryon bags (a total of three between the four of us) and headed for the terminal. Time saved: an hour. Backs not strained: four. Joy at not lugging it all ourselves: priceless! Point Disney. Off to board the ship. In military parlance it is known as “crossing the brow”. I am not exactly sure why, but that is what they call it. At any rate, you grab all of your gear and do you best Sherpa imitation as you stagger beneath your private mountain of militaria. In the egalitarian fashion peculiar to the American military each Marine is expected to tote his load aboard- no lackeys or porters about to take it aboard. Up the ladder (navy-speak for stairs) you go, grunting and struggling to carry as much of your gear up the steep series of ramps and stairs. As you reach the top of the gangplank (which is no small feat, because the gangplank to the ship is dozens of feet off the ground) you must unceremoniously dump your load and request permission to come aboard from the first Sailor that you see: the bemused and usually arrogant sailor known as the Officer of the Deck, or OOD. Much to his unbridled glee he watches you divest yourself of your seabag, pack, parachute bag, and whatever else you are carrying in order to perform the obligatory boarding dance. With a groan and the weighty thump of military luggage hitting the steel deck you begin the age old nautical tradition. As the “guest” coming aboard the Captain’s ship you are expected to come to the position of attention, turn to face the national ensign (the ensign is the nation’s flag that flies from the yardarm jutting from the back of the ship), salute, and then face the OOD, salute again, and formally request permission to come aboard. The OOD returns your salute, grants your request, and chuckles as you reassume you pack mule impersonation and stagger past him and on to the ship. 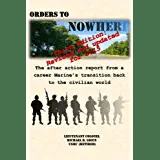 His tittering ceases only as the next poor Marine arrives before him, his presence announced by the crash of olive drab luggage slamming into the deckplates. Again, Disney presents a completely different experience. Instead of a cluttered and dingy Navy pier, we passed through a pair of open doors into the cool air conditioned interior of a cruise passenger terminal. Not two feet from the door was a pleasant young lady who asked to see our travel documents. With a smile she pointed us to the escalator (!) that would bring us to the boarding processing center. As we emerged from the top of the lift we saw travellers similar to ourselves queued up at a couple of long counters. Several very nice and attentive staffmembers asked us if we had completed our travel documents (“not all of them….” “Well, please let me help!”) and after taking a few minutes to complete our boarding process, we went through security and headed for the ship. The security line was pretty much like the one at the airport- a metal detector for people and an x-ray machine for carryons. The good news, however, was that liquids are allowed on board. This is pretty important, because we had three bottles of wine in our carryons- three bottles which would have landed me in the ship’s brig had I attempted to take them aboard a Navy ship! We made it through security (without removing our belts and shoes!) we were greeted by several cheery gentlemen wearing big white Mickey Mouse hands. They waved us forward (hard to mistake that gesture with such impressive four fingered mitts!) and asked each of my sons to give them “four”. Laughing as they did so, my kids were eating it up. So were their parents! We presented our boarding cards, and with a happy “Welcome Aboard!” we walked out towards the ship. A pair of photographers snapped a family vacation shot (“Smile! You can pick up your pictures onboard!”) and we were finally about to climb aboard the Disney Wonder. Fortunately, the escalator had brought us up to the level of the gangplank, so we didn’t have a single stair to climb. We walked along the covered gangplank (no beating sun or rain would sully our approach…) until we crossed over to the ship itself. Two lovely twentysomething girls in immaculate white uniforms enthusiastically welcomed us to the ship asked us our name. “The Grices,” said my oldest son. Lifting a microphone to her lips, the lovely young lady announced our arrival. “Please welcome the Grice Family to the Disney Wonder!”, and as we stepped onto the luxurious carpet we were greeted by the applause of a waiting receiving line of the ship’s officers and crew. And I didn’t even have to ask permission to come aboard. No question- another point for Disney! Well, the Disney Cruise Line has a pretty impressive lead so far, and we just got aboard the ship. Will the Navy catch up in the days ahead? Will Disney falter? Only those intrepid enough to keep reading will find out…….